Specialists in Rotax Maintenance & servicing for over 20 years! 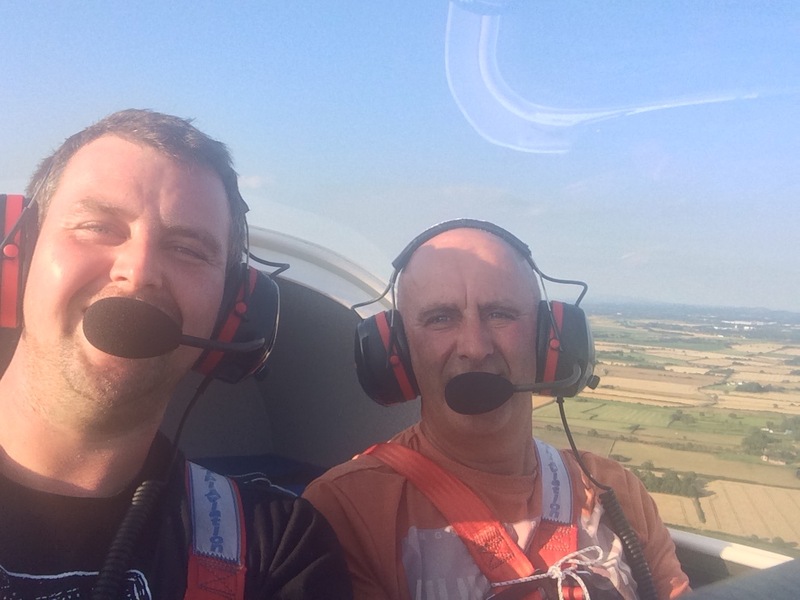 Eccleston Aviation was formed in the early 90's by Keith Worthington, it was during the 80's that Keith & his brother Allan learnt to fly a flexwing aircraft at northern microlight school, still to this day owned & operated by Graham Hobson. Eccleston Aviation was formed as a result of keith & Allan's extensive knowledge of engines, and as such were appointed to service the engines for the fleet of aircraft around the North West. The work was soon mounting up and Keith decided it would be a good opportunity to see if a business could grow from it. Before long he soon had 2 workshops one aptly named "The ROTAX room" which is were all the engine re-builds were carried out, and the other was called "the middle shop" as it was between two other buildings. there have been numerous aircraft built in the "middle shop" from single seat Mini Max aircraft to the more modern Skyrangers & C42's. I had been flying from a young age with my dad Allan (I was his excuse to go I think) and on saturday mornings & the summer holidays I worked with Keith who started to teach me about engines from a young age. I would mostly get the cleaning work and he would show me how things worked & went back together. Once I turned sixteen I went on to work full time for Keith who offered me an apprenticeship when I left school, I was soon away with all the things I had learnt previously . In 2013 Keith decided he'd had enough of the day to day running of the business and offered me the chance to buy it from him. I jumped at the chance! no more 6pm finishes on a Friday! What had i got too loose! Keith is still about the workshop and still plays an active part here but has more recently been restoring some of the "classic" cars he has purchased. He an Allan now fly a Pioneer 200 in the microlight category. The picture below is of myself & dad in the Pioneer. In early 2015 I was approached by the new Rotax importers CFS AERO to become an Official Rotax Support centre, we were delighted by the opportunity & gladly accepted. We offer a full range of support from over the phone to on-site assistance for Rotax owners across the UK. We also do permit renewals & kit stage inspections for the BMAA. as well as installation of engines, Initial commissioning & insurance work carried out. We have very high standards or workmanship at very reasonable prices. Please feel free to give us a call if you have any questions. We have a fully equipped workshop & mobile workshop meaning we can come to you! And with most parts stocked it means less time out of the air for you! Most Rotax parts if in stock can be dispatched the same day and if not can be sourced and sent out usually within 2 days depending upon availability. Please view our online shop; alternatively call if you cant find what you are looking for!